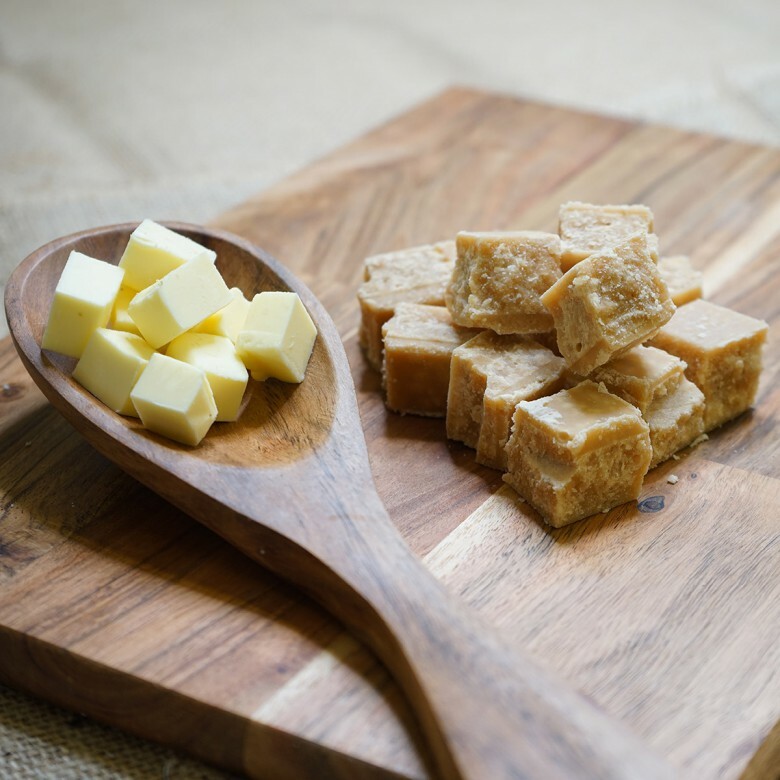 Yorkshire Crumble Fudge - This classic fudge is made using Great Grandma Johnson's recipe dating back to the early 1900s. Grainy sugary and crumbly melt in your mouth traditional flavours of an old fashioned fudge from bygone days. Ingredients list: sugar, MILK, glucose syrup, palm oil, butter, salt, flavourings. Yorkshire Crumble Fudge is available in two sizes; a 150 gram bag or a 450 gram box.